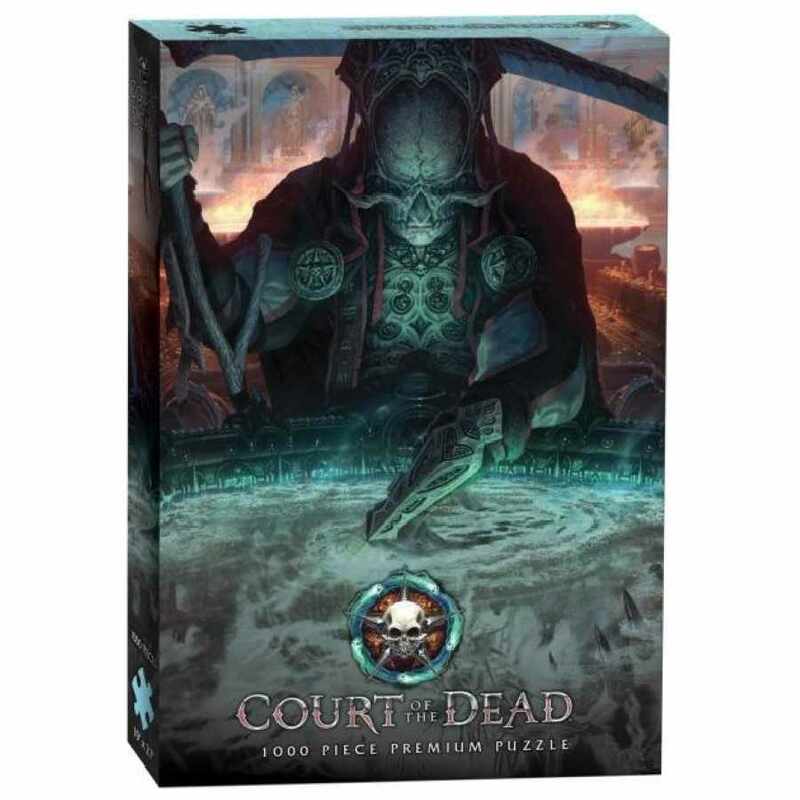 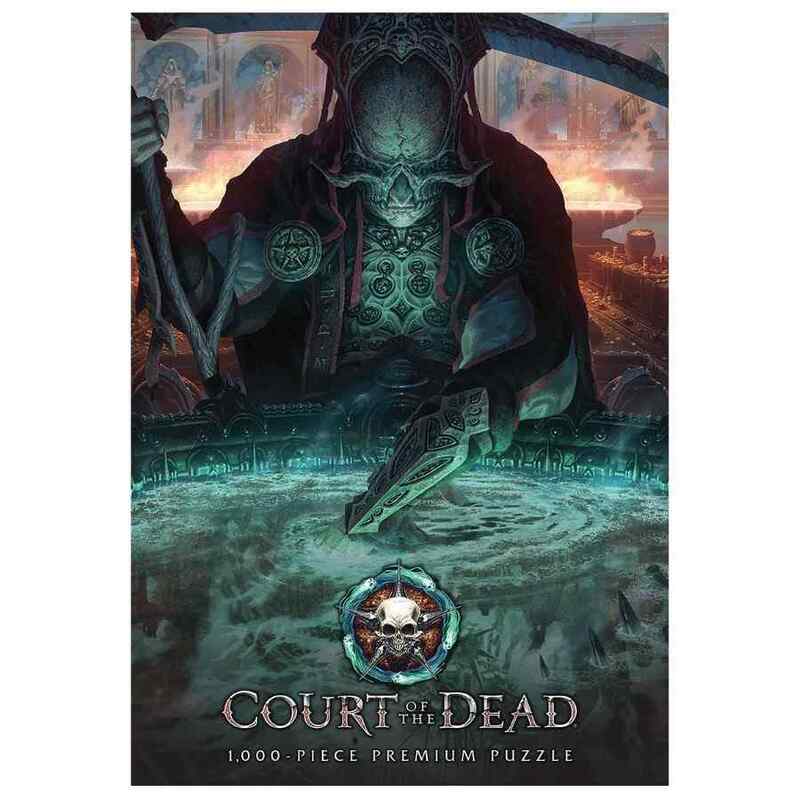 USAopoly Court of the Dead 1000 piece premium jigsaw puzzle. 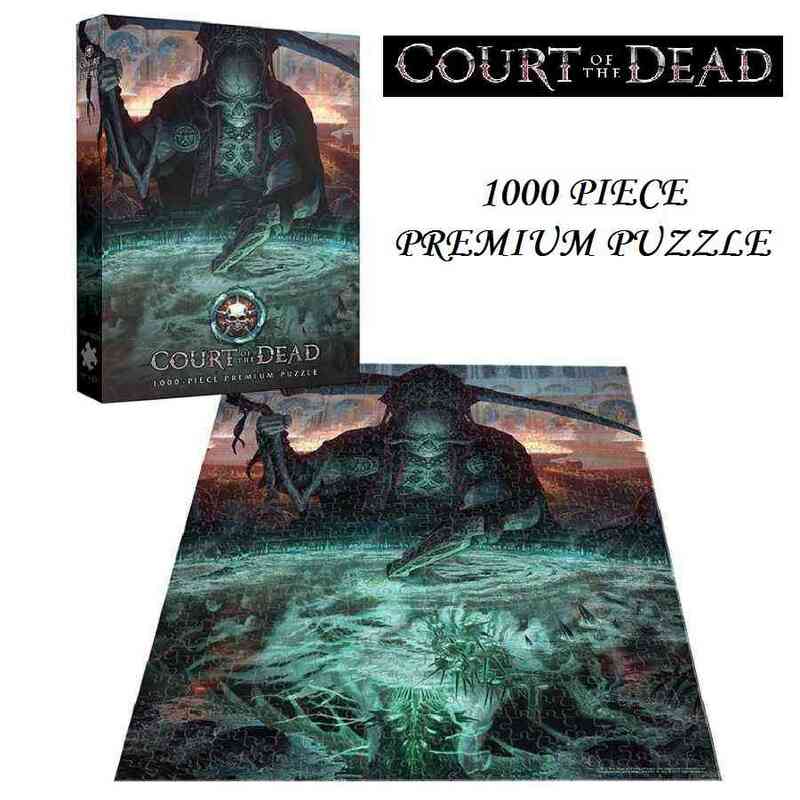 From USAopoly we have this Court of the Dead The Dark Shepherd's Reflection 1000 piece premium puzzle. 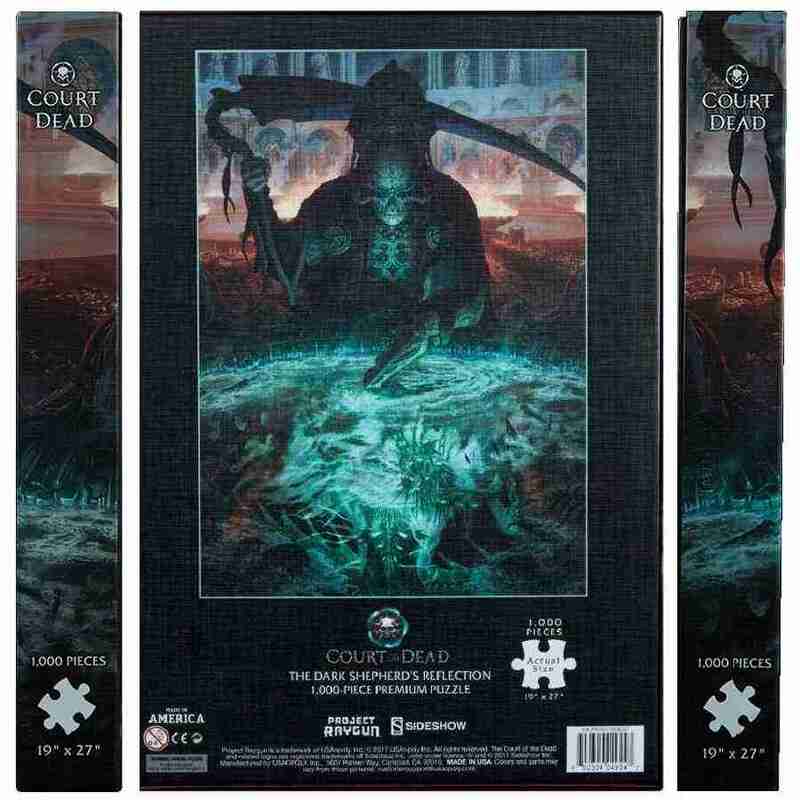 The Dark Shepherd, also know as Death is the creator and ruler of the Underworld and existed before the creation of mankind and now he is ready to be pieced together in this premium puzzle.